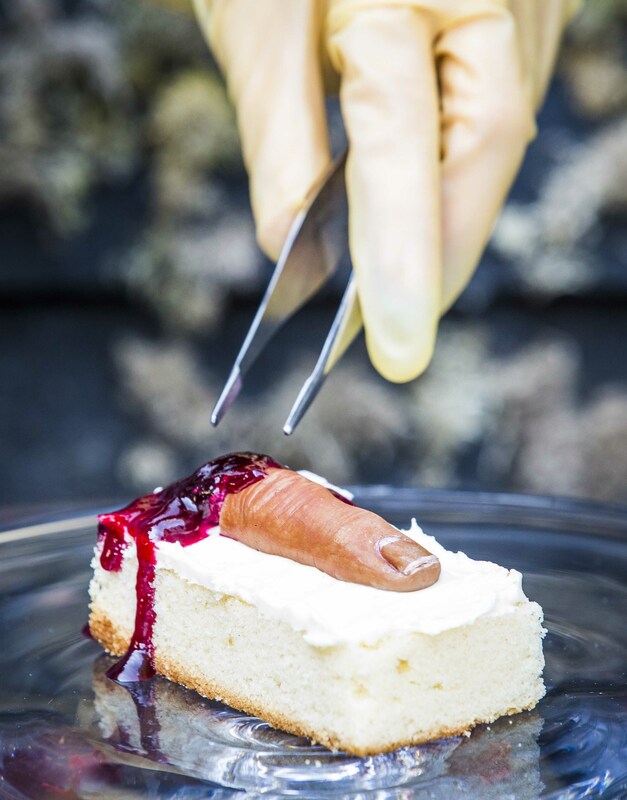 A tasty terrifying treat has been concocted ready for Halloween to fill your stomachs before the revelry. 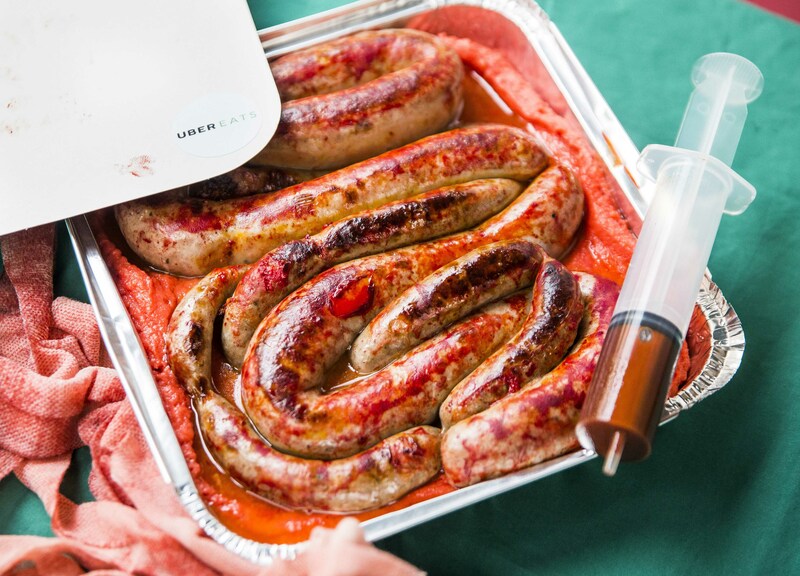 The menu has been created in partnership with UberEats and can be ordered from anywhere in London on Halloween – next Tuesday October 31. The fearsome feast has been designed by Emma Thomas (AKA Miss Cakehead) and Jim Thomlinson of London Mess and Prawnography. It’s a four course menu titled ‘Trick or EATS’ and features a host of gruesome gastronomic goodies to get your taste buds tingling. The minds behind the menu have even tried to make the food look as realistic as possible to make your tummies turn. The menu comes with a variety of different presentations, from sauces served in syringes and dishes wrapped in mummy bandages. The food might look frightful but beneath the scary exterior is a host of flavour combinations which are distinctly more appealing. 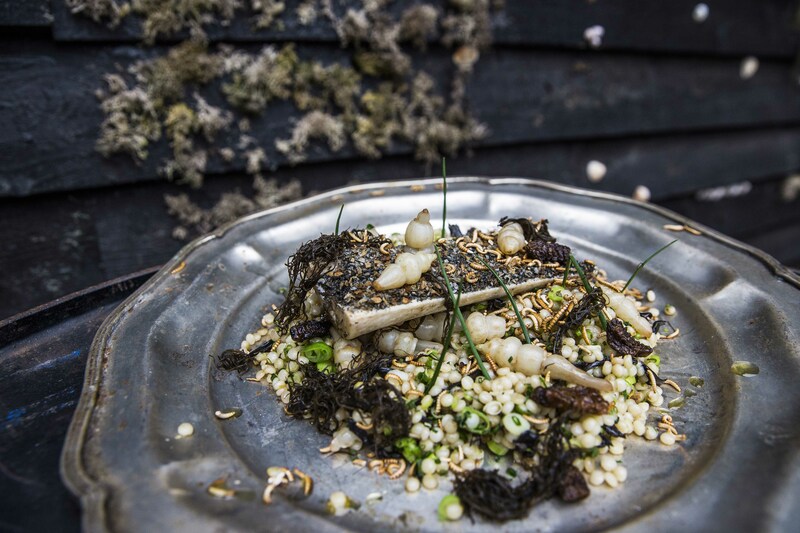 The dishes include fresh, in-season delights such as crosnes and black trompette mushrooms with some more adventurous ingredients like bone marrow and mealworms. I love manipulating people’s minds with food, using gory ingredients to create a high-end gastronomic experience. My favourite dish to create was the One Metre Pork Intestine – the flavours, colours and textures are out of this world. You will begin on your ghoulish gastronomic journey with a starter of ‘Abscess of Prawn’ – made up of prawn carpaccio served with an infected puss of silken tofu, pickled radish and seaweed splattered with smoked red pepper coulis blood. 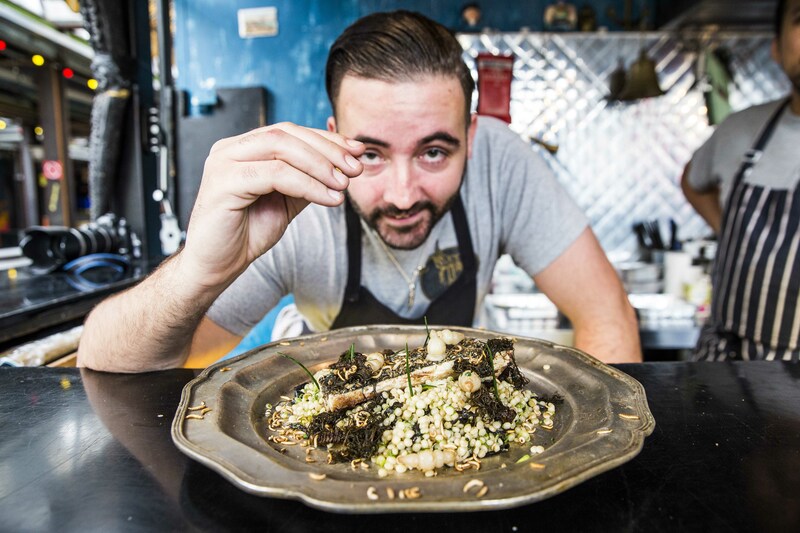 After your tastebuds are screaming for more, diners can enjoy a meter of rare breed pork sausage and creamy parmesan polenta coupled with Israeli couscous, bone marrow bark and edible grubs and mealworms. 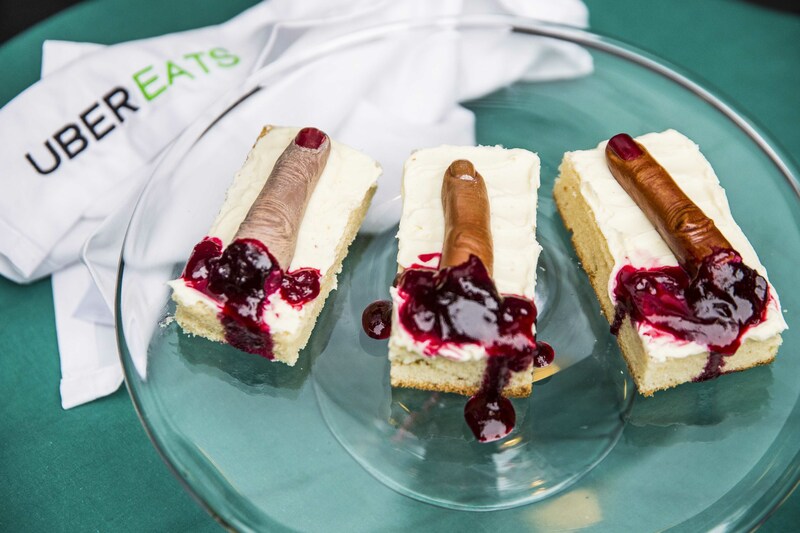 As the final course, diners will be treated to a whole new meaning of finger food, with a vanilla sponge drizzled with edible blood and topped with a severed human chocolate finger. Halloween is like Christmas Day for me, I love turning theatrical dining on its head and challenging people to think outside the norm. The idea of visually seeing one thing but tasting something completely different is such a unique taste experience. We’ve really enjoyed working with Emma and Jim to create this unique menu ahead of Halloween. They’ve not only been able to produce a grisly masterpiece of a menu but the food is truly delicious – the perfect balance of theatre and taste. 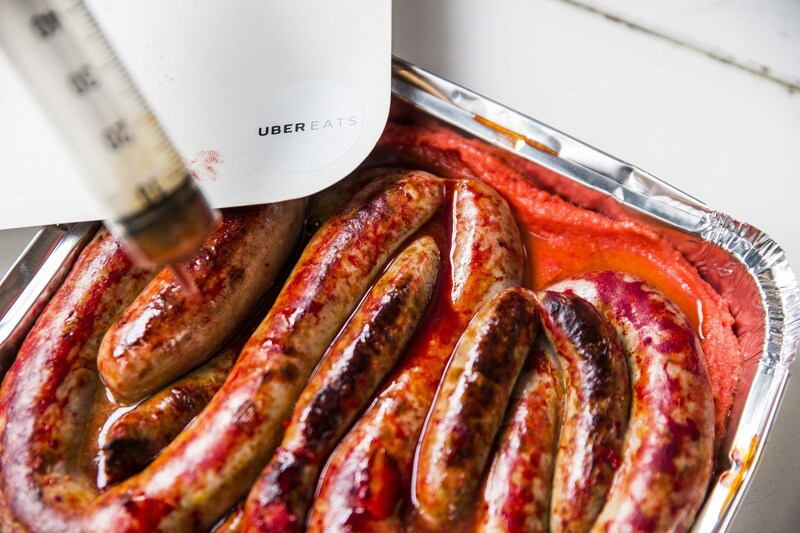 At UberEATS our aim is for our users to be able to enjoy great food in the comfort of their own home. 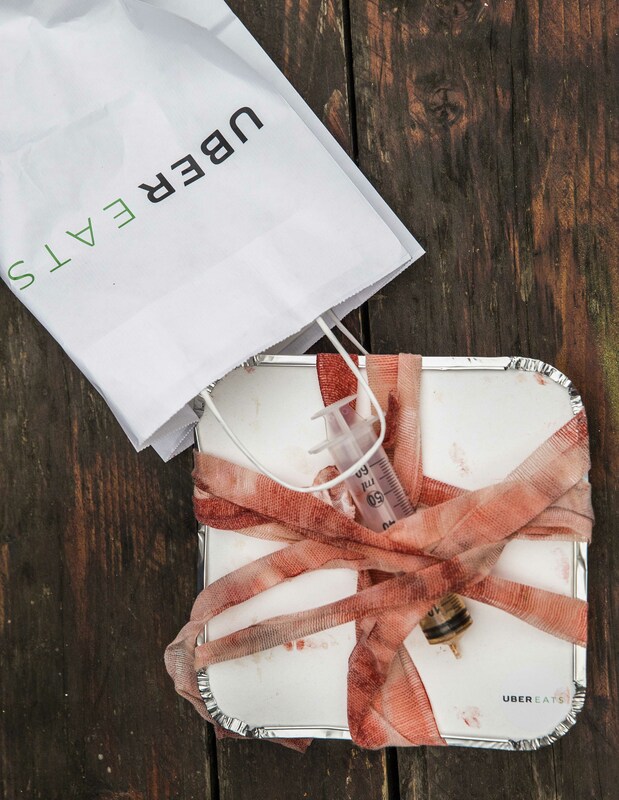 The Trick or EATS menu will be available for delivery via UberEATS on Halloween from 6pm to 10pm and costs £20 for the set menu which feeds two. That’s something to sink you teeth into.